Located near Fort Wayne, Indiana. Can drive and meet, depending. I have a '97 Ford Ranger. 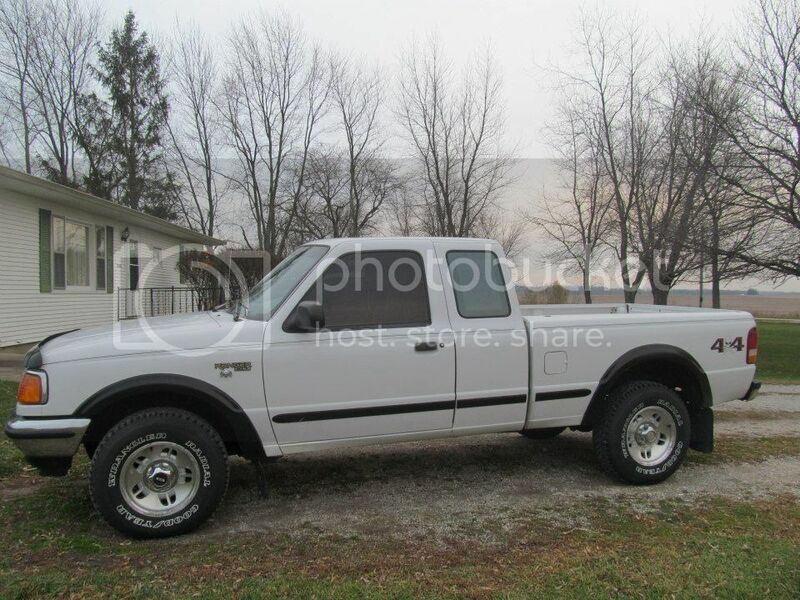 XLT, 4x4, ext cab, 136-137,000 miles. No rust! Great shape. Windows were recently tented better. Brand new tires. The black trim was painted, originally gray. I have been wanting a lifted ranger prefer a black one. Must be 4x4 and would prefer ext cab. Just wondering if anyone is interested in a trade. Value of about $5,000. Just shoot me an offer.